Good Morning everyone!! I have some pretty fabulous news to tell you about. 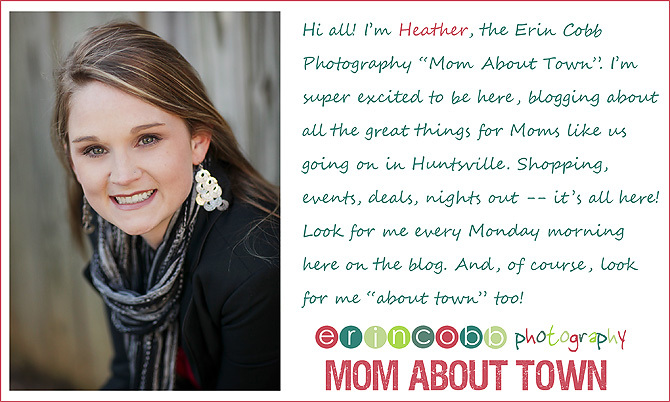 About 2 months ago Erin was approached by the editor of Spark Magazine to write a feature in the new publication put out by The Huntsville Times. The email asked if she and The Mom About Town would be interested in doing a “Tailgate Fashion Spread.” So like we always do when a “business decision” needs to be made, we ditched our families, we explained to our family that we needed to work and went out for lunch! After about 2 minutes of discussing it, we decided that it would be a fabulous thing to do. So I hit the road running!! 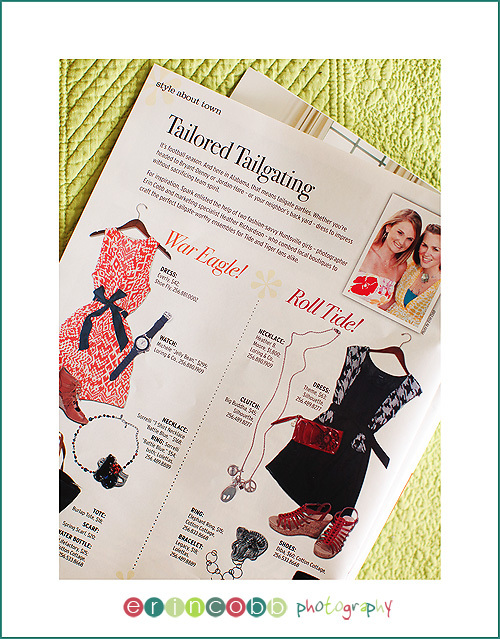 Luckliy we already had so many great relationships with so many great boutiques in Huntsville that it was a “breeze”!! 😉 I visited all the owners, explained to them what we had been asked to do and ………. wallah a fashion spread! 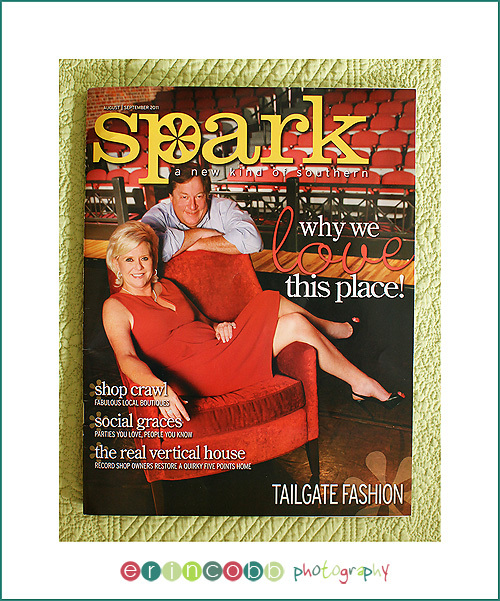 Spark Magazine comes out with the Friday paper. And there will be a new edition every other month. 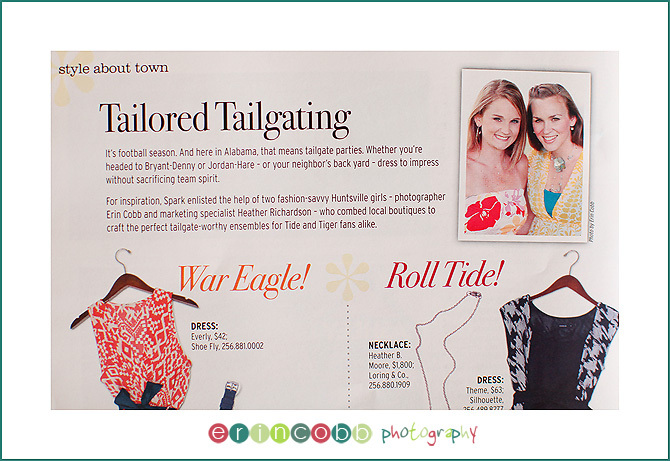 There is rumor that you may be seeing more from Erin and me in the “Style About Town” feature. 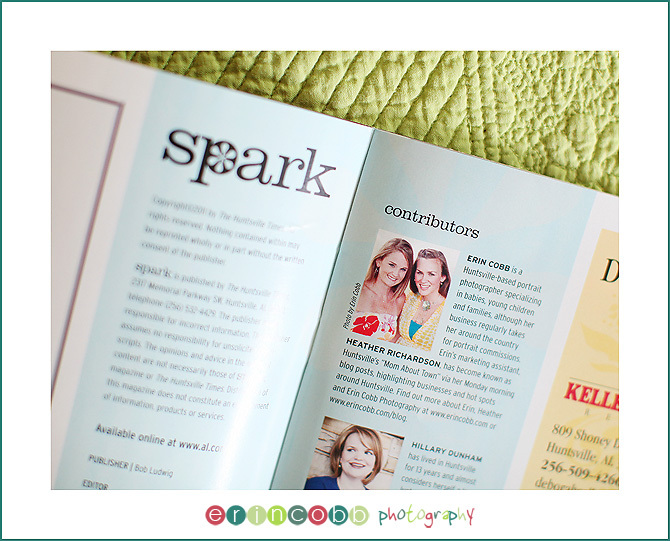 A BIG thank you to Anna Claire Vollers, the amazing editor of Spark Magazine for asking us to be a part of the magazine!!! If you didn’t get a copy with your newspaper last Friday, keep your eyes peeled around town and you’re sure to see a stack in some of Huntsville’s favorite hot spots. Jess – Congrats! I’m so happy for you :)! Marla – Congrats to you and Heather! I saw the magazine at my OB’s office yesterday and your article looks fantastic!! Great job.